1028_tcsp_bowling0583: Sports: News-Editorial: Award-Winning Evansville Photographer: Molly Bartels specializing in editorial, wedding and art photography in Evansville, Indiana. 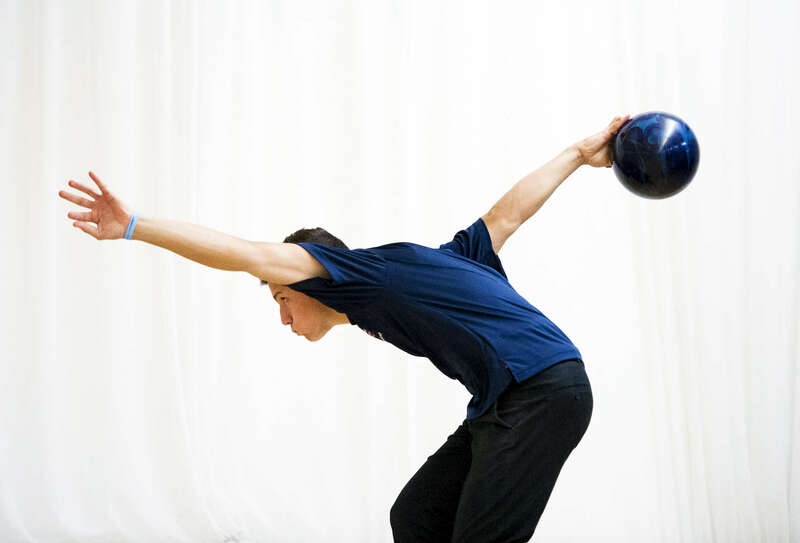 Anthony Pigozzi, a senior at St. Lucie West Centennial, bowls against Martin County in the district championship match Monday at St. Lucie Lanes in Port St. Lucie. Martin County beat Centennial but both teams will advance to the state finals on Nov. 5-6 in Orlando.